Amy Mia Goldsmith is an Aussie who loves to read and has been writing novels and short stories as long as she can remember. She is currently studying, working in a bookstore and writing her first book. Her passion is beauty and makeup and she loves to spend her free time reading reviews and of course – makeup shopping! Contact Amy on her Facebook page. Getting the right birthday present is never an easy task. There are many things that could serve as a good gift but for your best friend good is not good enough. Since friendships are not something that you can build overnight, there is a chance that you have already used some of the best gift ideas over the course of years. Still, there is no place for desperation since there are so many fabulous birthday gift ideas, just waiting for you to discover them. The truth is that you can always take your best friend out on an unforgettable dinner or organize a ladies night out. Where you decide to take her is the most important part of the gift. One idea is to take her somewhere magical, like a luxurious restaurant or a place with a dreamlike view. The space has to be special for her, it has to be somewhere she has long wanted to go and you remembered. Another great idea would be for you to throw her the perfect birthday party. This special gift requires a lot of work and dedication. Showing your friend that you care can sometimes be more valuable than any item you could give her. Throw your friend a party with her favorite theme, be it the roaring 20s or a black and white party, and she will never forget it! Now, makeup is something that you simply cannot go wrong with if your friends is a beauty addict like me and my bestie are. Getting your friend a piece of designer makeup that she always dreamed of is as perfect as perfect gift can get. I recommend getting something from the collection of Jane Iredale makeup for your beauty-junkie best friend. I buy my bestie something from Jane Iredale every year because I’m sure she’d appreciate quality makeup. Show your friend that you care by booking her a well-deserved spa weekend. This is a great way to spend the weekend together and just relax. She will surely appreciate it, and it will be great for both of you to just turn off the outside world and recharge your batteries. 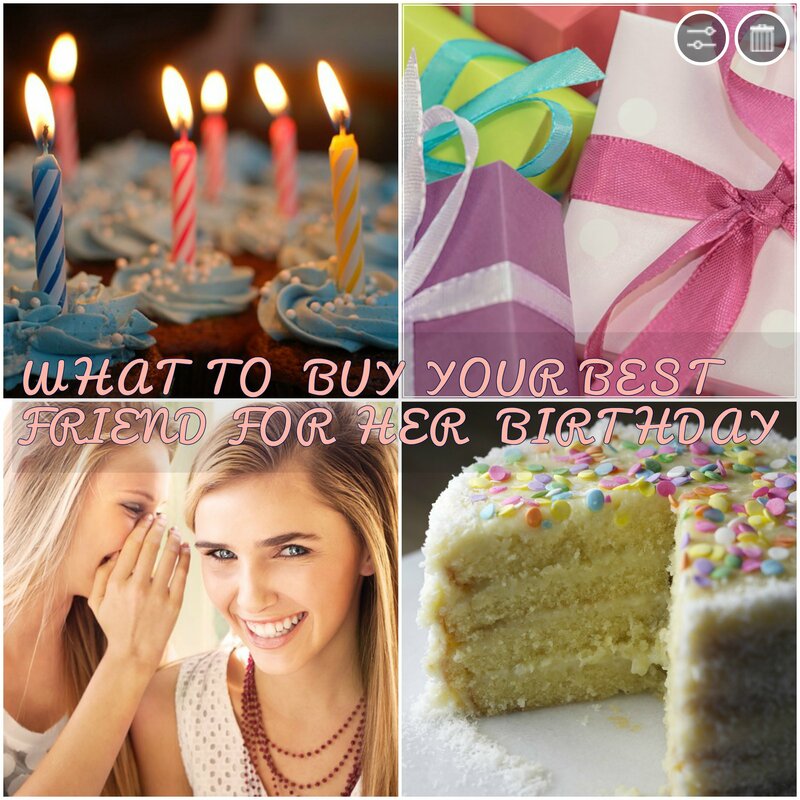 There are many birthdays in a girl’s life, but you should not miss the chance to transform one of these ordinary birthdays into one that your friend will never forget. Show your friend how much you care, she deserves it!